I love clip cards and use them often for learning. 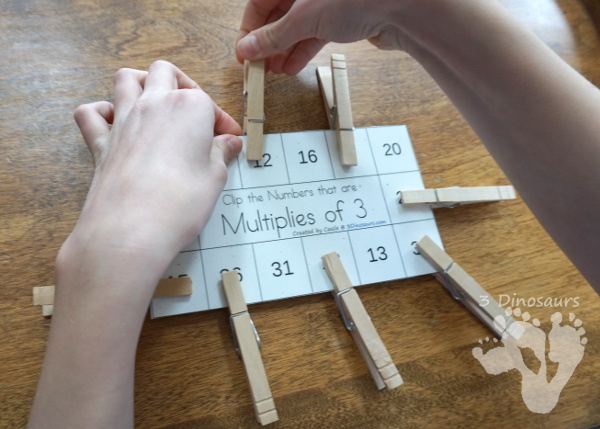 I wanted to have a set that would make a good learning center for multiplication. I know that not all kids learn the same way. Each child needs something different. 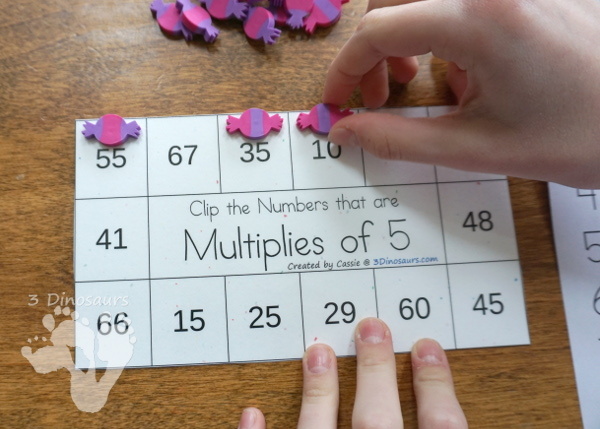 These are great for the hands-on learners that want something different. 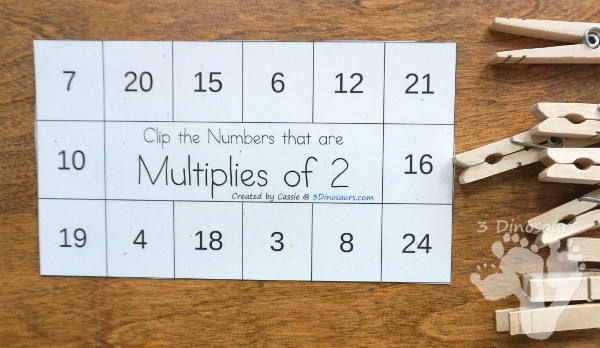 Plus these are a low prep math center that once you have it made is great to reuse over and over. This is a fun set of clip cards. 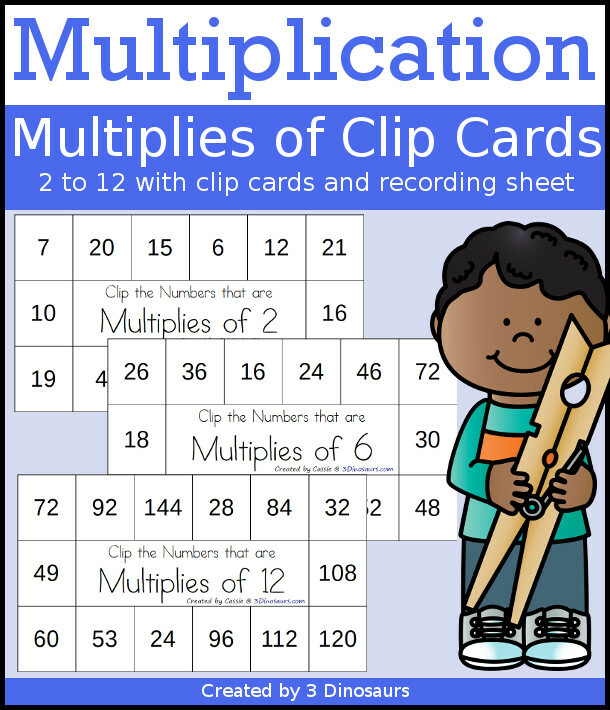 They work on multiplication 2 to 12 and are a fun way to work in an easy math center for those that need extra help or maybe an early finisher that needs something fun to do. Each of the cards has 8 numbers to clip out of the 14 on the card. It tells the number they are looking for. I printed ours on stardust cardstock and laminated them. Because they are black and white you can use any color cardstock with them. I set the cards with eight clothespins the cards and a recording sheet. You can see how I set it up for them. They clip the cards. This is fun because you have fine motor work and see how much they remember on skip counting or their multiplication facts. If you don’t want to clip the cards you can always use something to mark the spot. We used mini erasers for this. 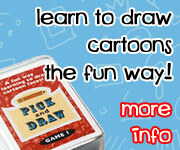 It is easy to do and fun. 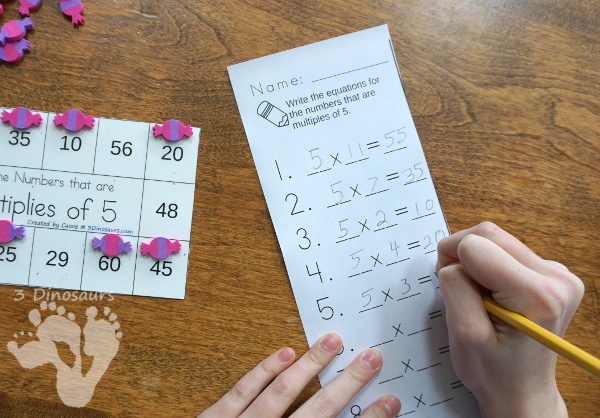 After they have the cards clipped or cover they can write out the multiplication problems on the sheet. The sheet has space for 8 spots that they have clipped on the card. 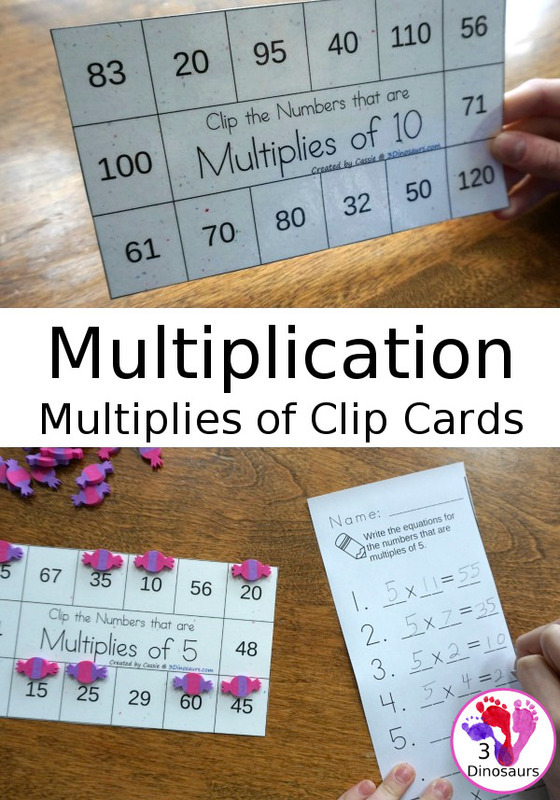 11 fun clip cards that kids can use to work on skip counting and multiplication with recording sheets. 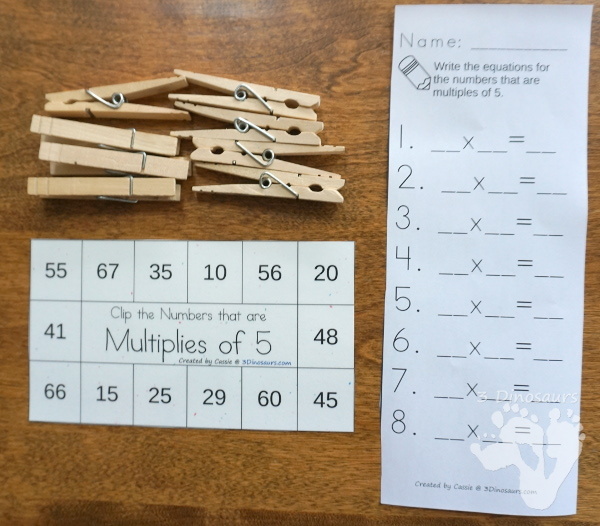 This entry was posted in math and tagged clip cards, multiplication, printables, tpt. Bookmark the permalink.